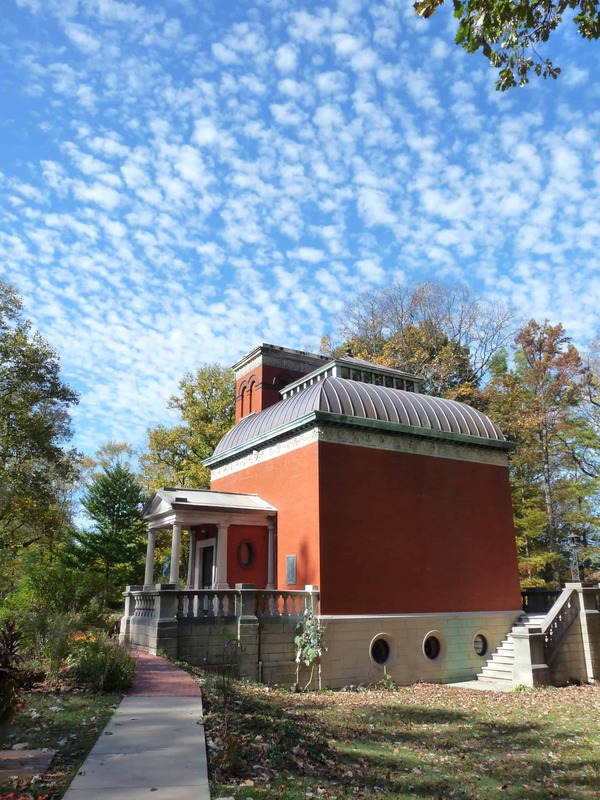 Welcome to the General Lew Wallace Study & Museum! Over the spring and summer of 2015, we completed an interior paint restoration project that returned the Study to its beautiful original state, as Lew Wallace enjoyed it. In 2018 we restored his reflecting pool structure using much of the original masonry; we replaced the water with ground cover. We hope a visit to our National Historic Landmark will be a wonderful centerpiece of your Central Indiana vacation. Tuesday – Friday: 10:00 a.m. – 5:00 p.m.
No tours will be started after 4:15 p.m. Allow at least 1 hour for the complete experience. Please note we are on Eastern Time. We are open on the Saturday of Memorial Day weekend and Labor Day weekend. We are closed on Independence Day. In the winter, please check our Facebook and Twitter feeds for weather-related closing information. If you have a group of 6 or more people, please call 765-362-5769 before coming. The property has two entrances. A pedestrian entrance is located at 200 Wallace Avenue at the west end of the property. A vehicular entrance and accessible parking lot are located through the large double gates off Elston Avenue on the east end of the property. Free street parking is also available on Elston Avenue. 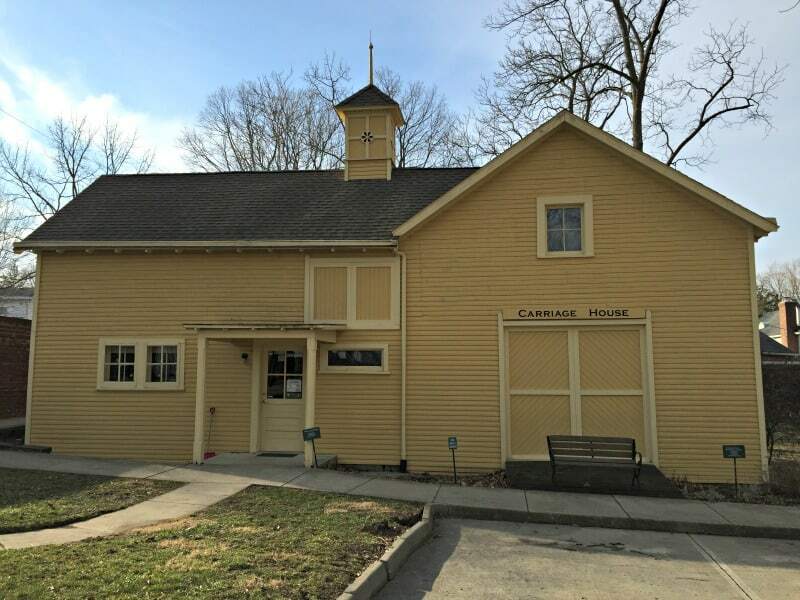 A visit to the General Lew Wallace Study & Museum begins at the Carriage House Interpretive Center, the yellow building adjacent to the parking lot on the east end of the property. The Carriage House hosts an introductory film about Lew Wallace, changing exhibits in the Lynne D. Hohlbein Education Room, and a gift shop. All tours of the inside of the General’s Study building are guided. Visitors may tour the grounds and gardens unguided (free) during open hours. Non-flash photography is allowed in all exhibitions except where otherwise indicated. The Museum welcomes school classes and homeschool groups for tours of our facility. The Museum hosts a variety of different themed tours for school groups depending on grade level and interest. Cost for school tours is $1 per student for students under 12 and $3 per student for students ages 13 to 18; teachers and adult chaperones from Montgomery County, Indiana, are free. Contact Associate Director Amanda McGuire at 765-362-5769 or email [email protected] to make a school group tour reservation. We require reservations for groups of more than 6 people. Van-accessible parking is available in the parking lot on the Elston Ave. entrance. The Carriage House Interpretive Center (yellow building) and the public restroom building on the Museum campus are fully ADA-compliant, as are the grounds, which feature sidewalks throughout. Please be advised that the main Study building is a historic structure that has four steps leading into it. An introductory film about Lew Wallace is closed-captioned for the hearing impaired. Make a day of your Museum experience by visiting these other fine Montgomery County attractions. The Visit Montgomery County website has information about events and activities around Crawfordsville. To find accommodations near the Museum, visit HotelsCombined.